Stephen Woodin is a 25 year Master Instructor-Trainer with under graduate degrees in EMS & Digital Media Management with a bachelors degree in Public Administration. He has been a mediator in Florida since 2006. He has trained more than 10,000 individuals in the medical and legal fields during his career. Steve has been a facilitator/trainer for groups for more than 30 years. He along with his wife, Michelle, are active participants in the community in addressing domestic & abuse community issues. Michelle Woodin has a bachelors degree in Sociology from Baldwin-Wallace in Ohio. She has owned & sold several successful businesses in her career. She has been a Florida mediator certified in Civil and Family since 2016. Register for a Group TODAY! The StopAbuseProject.org program came about after many conversations with "those in the know" with domestic violence. The program is offered by Safety Services a training company that has provided initial and continuing education to thousands of participants including the subject of domestic violence, since 1993. Privately owned, Steve Woodin with his wife Michelle, both volunteer with the court system in Florida's 7th Circuit as mediators. This service has highlighted the problem of Domestic Violence with little done to "retrain and hold accountable" the batterers. 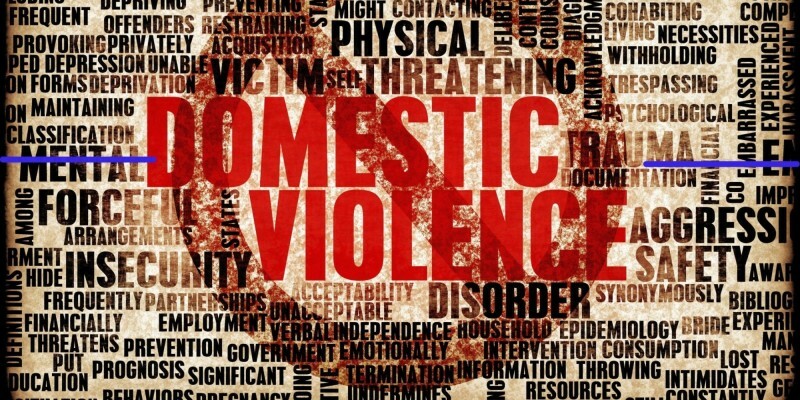 Domestic Violence or "Intimate Partner Violence" is a rapidly growing problem in our state. A recent summit hosted by the Flagler County Sheriffs office brought together representatives from all spectrums of the domestic violence problem. The Batterer's Intervention Program (BIP) - is a coordinated community response to eliminate the occurrence of family violence. The 90-minute group sessions occur once a week for 26 weeks. The sessions apply a psycho-educational approach to assist participants with gaining insight and facilitating awareness into the cycle of violence and patterns of abuse. Actions have consequences. Those that inflict domestic violence on another are required by Florida Statute to attend a 29 week program that will hold the offender accountable for their actions. A man should never strike a woman, ever. Equally a woman should never strike a man. Strong "successful men" should have honor, be honest, humble, kind, faithful, & respectful. They should have self discipline and control, be a good citizen who honors their word. Each and every day, a man should take accountability for their actions, their attitude, their timeliness, and their financial responsibilities. Our programs both teach these basic fundamentals, and hold those accountable to follow them.